Wee-Wee® Pads are quilted for super absorbency. 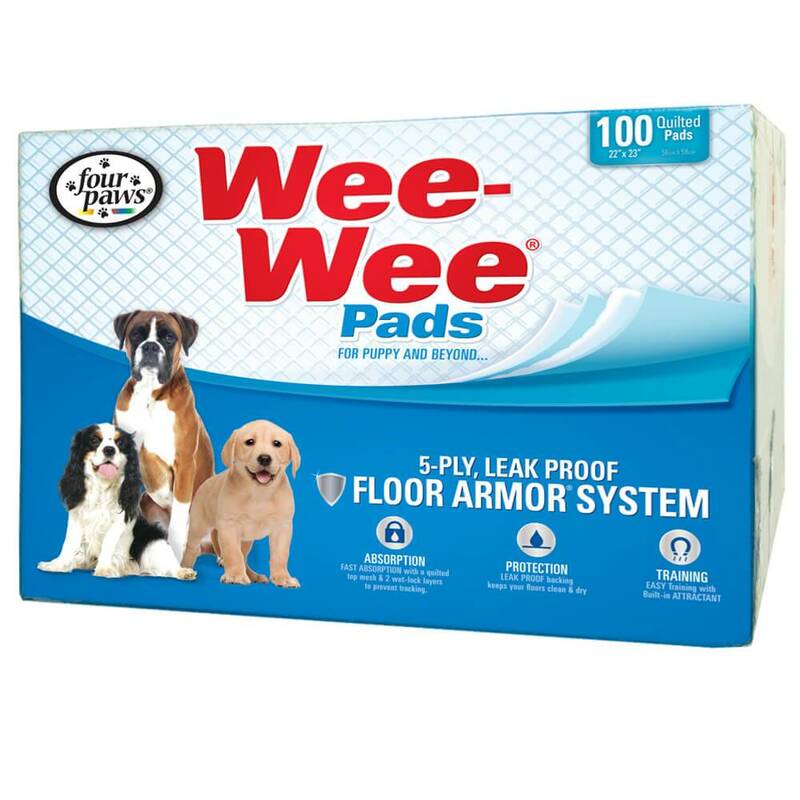 Made with a 5-ply leak proof Floor Armor® System, Wee-Wee® pads provide the leak proof, absorbing performance you've come to expect from a top quality brand. Treated to attract puppies when nature calls, Wee-Wee® Pads offer dogs and their pet parents more freedom and peace of mind. Wee-Wee® Pads measure 22" x 23" and are available in a variety of package sizes.